In-Channel Wade Smoke Front and Rear Window Deflectors by Westin®. 4 Pieces. Wade In-Channel Wind Deflectors are a quick and quality solution to reducing wind, noise, heat, and glare without compromising the entry of fresh air when windows are rolled down slightly. They are easily installed by inserting the flanged edge into the directly window channel and secured with 3M automotive grade tape. 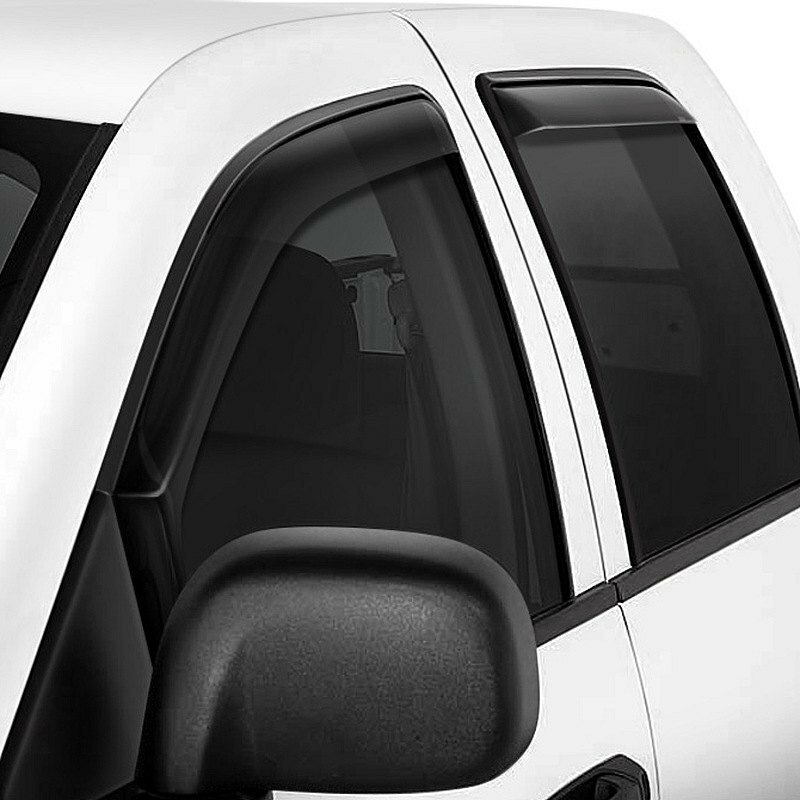 Wade Wind Deflectors promote the circulation of fresh air while minimizing its volume and strength as it re-directs it up and into, or out of the vehicle. Their sleek design deflects wind and noise from entering the vehicle for a more pleasant ride any time of year. They are made from high-gloss smoke acrylic, and have transparency, so, visibility is never obstructed.